It’s been a long road since the 2008 financial crisis for real estate agents, but recent news has been promising, though there have been some ups and downs. For example, in August, new home sales increased 7.9 percent and according to the Chief Economist at Trulia, the U.S. housing market has 67 percent recovered. The sales figures have been equally good for commercial real estate. But a new type of buyer has emerged on the scene. Improvements in technology, like the growth of the mobile internet and better real estate websites, have changed the way people shop for their next home or business location. Realtors who focus on internet marketing are poised to make the most of this evolving market. The easiest, and most important way, for a realtor to engage in internet marketing is by posting their listings real estate websites like Trulia, Zillow, and Loopnet. These sites, also called Multiple Listing Services (MLS) are helpful for buyers because it lets them narrow down the properties they want to visit in person. 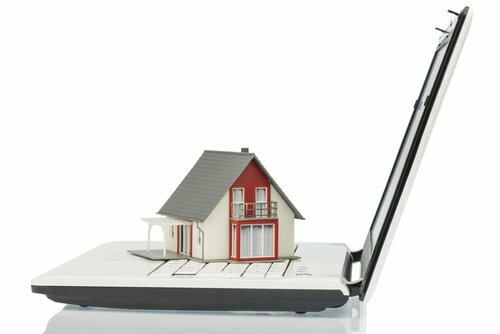 According to one study, 80 percent of consumers begin their search for homes and commercial properties on the internet. If realtors want people to see their listings in person, they need to make sure people can find them online first. There’s no need to worry about the internet making real estate agents obsolete. Even if most consumers search online, 90 percent of property is still purchased through an agent. Effective internet marketing simply makes agents more effective at reaching people. It also saves times by reducing the number of uninterested buyers since people have a better understanding of the property before asking to see it in person. “In today’s market, it is expected and typical that an agent will syndicate his or her listing across thousands of websites,” said Heather Christie, the operations manager and associate broker for Prudential Landis Homesale Services, in an article with Reading Eagle. Real estate agents can also benefit greatly from having a personal website. According to the National Association of Realtors, about 25 percent of real estate agents get more than 10 percent of their business from their personal websites alone. A personal website is a good way to supplement listings on real estate portals with additional information and features. Personal websites can have features that real estate websites don’t allow or charge extra. For example, there are interactive 3D tour tools that use images in a way that let the user take a tour of every aspect of the house from their computer. Why is it worth the effort? Because virtual tours keep visitors on sites five to 10 times longer than on sites without. There’s even a benefit for real estate agents who are willing to engage customers on social media. Some real estate agents have been using YouTube as a way to reach customers and showcase their properties through video tours. Most real estate agents have also begun using Facebook and Twitter as means to reach potential customers and converse with clients. According to one report, in 2008 only 32% realtors had social media presence, but by 2009, 84% of real estate agents used social media sites to reach out to their target audiences. The changes to the real estate market have even made some realtors question the efficacy of old tactics like open houses. Only 10 percent of buyers first learned of the home they bought through an open house. When compared to the 42 percent of buyers who first learned of their home through the internet, it’s clear that more resources should be spent on internet marketing than buying trays of cookies. Especially since virtual tours can serve the same functions as an open house to noncommittal buyers: Helping them become more interested. As the housing continues its recovery, now is the time for real estate agents to embrace internet marketing as a way to boost sales. Using the internet is a cost effective way to reach the new breed of information-rich customer that the internet has created. Whether through Multiple Listing Services, personal websites, or even social media, real estate agents who utilize internet marketing will fair better than those who continue to use old tactics. Developing a real estate site that impresses customers takes time and skill, so real estate agents may consider outsourcing the work. The investment is worth it. In one study of real estate agents earning more than $100,000, 50 percent spent $2,500 or more out of pocket for technology.